Almost EVERYONE has gifts to buy throughout the holiday season. The only big question is what the perfect gift actually consists of for a particular person. We all have trouble deciding on the perfect presents – this is where gift guides come in. If you’re a retailer, gift guides are the perfect value add for your customers. It provides them with ideas and promotes your products all at the same time. Your customers are already out shopping, but this is how you keep them loyal and ensure they’re shopping at YOUR store. People are spending a ton so holiday savings are inherently sought out. Beat out your competition, especially for things you know would make amazing gifts. Take it further with “deals of the day” and deliver your shoppers a little FOMO (fear of missing out). We’re almost certain they’ll bite. Show off all the reasons your customers liked you in the first place. It’s ok to brag a little. Any accomplishments or special mentions you’ve had over the last year, highlight them in a nice summary with images or video. Content like this has a low bounce rate, and generates a lot of traffic for your online store. Keep the excitement going for the new year. Tease your audience with a sneak peek of what’s to come from your brand. This also gives you a chance for pre-sale sign ups and RSVPs to future events. Plus, getting a little feedback before you start can be invaluable to your future-facing efforts. This is a perfect idea for clothing companies. Who doesn’t need the perfect outfit for that office holiday party or winter wedding? Create trendy looks that are cool and cozy and move some of your winter apparel based on various seasonal occasions. Leverage UGC year-round, but especially through the holiday season. 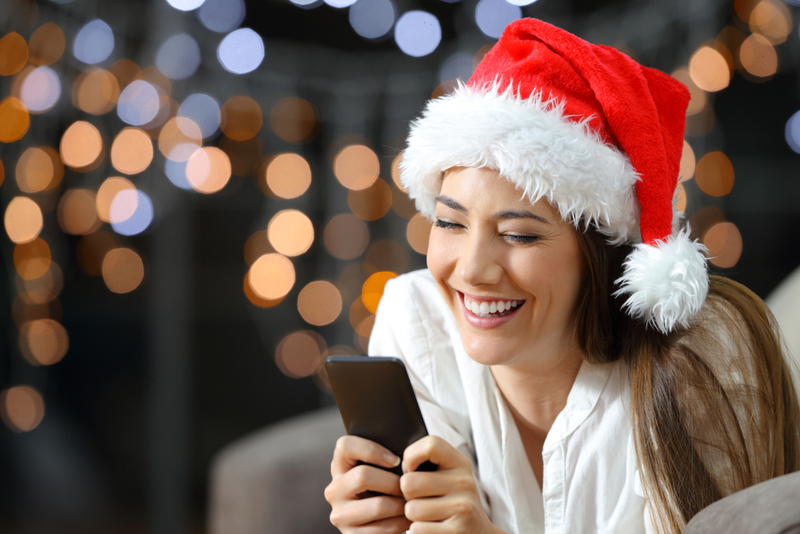 Top gifts or top holiday outfits are great content you can use from your customers’ posts. Plus, influencer marketing is THE hottest trend at the moment, so only a fool would let the opportunity to utilize this slip by.